We adore animals! Our staff’s actions match these words and adhere to a strict code of conduct that values honesty, hard work and most of all kindhearted, affectionate care. Morris Animal Inn’s staff is trained through the highly respected educational program provided by the Outstanding Pet Care Learning Center (OPCLC). In fact, our full time staff averages over ten years of pet care experience. We are proud of five of our former employees who have achieved their goals and have become veterinarians. Congratulations Joe, Jane, Meghan, Laura and Paul! 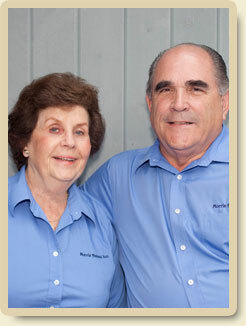 Walter and Marianne acquired Walter’s father’s pet care business, Poodle Palace, Inc., in 1978. They have grown the operation into the internationally known Morris Animal Inn. As charter members of the Pet Care Services Association, the Morris’s thoroughly understand the many issues that worry pet owners. Their constant presence at the Inn, combined with their utmost concern for our canine and feline guests, has earned them the strongest of reputations among clients, employees and peers. Walter holds a degree in Economics from Villanova University. He co-owns, with daughter Joanne, Morris Pet Care Consulting LLC in Morristown, NJ. When not working at their businesses, the Morris’s enjoy spending time with their seven grandchildren and their many grand dogs. Volunteer work for their church, their local fire company, and with Villanova consumes their remaining time. Joanne Morris grew up working at Morris Animal Inn under her parents’ watchful eye (Walter and Marianne). She has witnessed the Inn’s growth from a small ‘mom and pop’ operation to the largest pet care employer in Northern New Jersey. 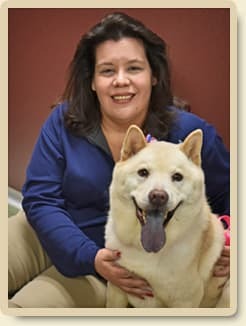 Throughout her career, Joanne has worked to develop and improve the image of the pet care industry via a variety of pet care-related positions and professional endeavors. Joanne attended Susquehanna University and then owned and operated four highly successful Invisible Fencing dealerships over the course of fifteen years. 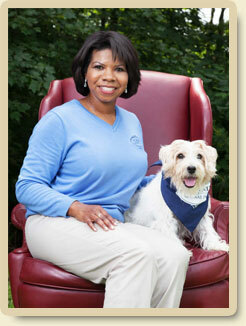 In 2000, Joanne returned to Morris Animal Inn as Vice President to assist in its growth and development. She has had a hand in every aspect of the business, from caring for dogs and cats to assisting in the design of the expansion completed in 2008, and managing Human Resources and financial matters. In addition to serving on the Board of Directors of the Outstanding Pet Care Learning Center (OPCLC), Joanne is co-owner and co-founder of Morris Pet Care Consulting, LLC with her father, Walter. Joanne’s daughters, Emily and Ashley, and her Cavalier King Charles Spaniel, Tori, and Lexi, a Great Pyrenees Mix are frequent visitors at the Inn. 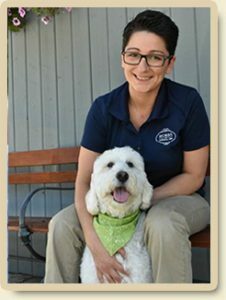 Patti Kreitler has been an important part of the Morris Animal Inn since 1997, first as Pampered Pet staff and team leader, then as Activities Manager, and currently as General Manager. She oversees the Inn’s six departments, making sure that we exceed our clients’ expectations on a daily basis. Patti’s creativity, stemmed from owning a craft business, is utilized in bringing fun and exciting pet offerings to life at the Inn. Among Patti’s favorite memories of working at the Inn are the Grand Re-Opening in 2008 and our Annual Puppy Proms. Patti is an active member of the community, having volunteered for the Somerset Hills Handicapped Riding Center, Far Hills Races, Bonnie Brae, The Academy of St. Elizabeth and Oratory Prep. She is also an avid theatre-goer and traveler. Patti is the mother of a daughter, Tara, a son, Jonathan, and a 15 year-old adopted Pomeranian, Meadow. 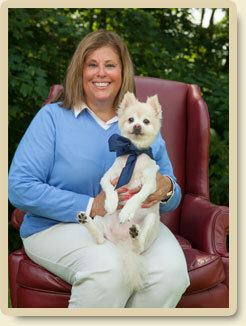 Nancy joined Morris Animal Inn in 2010 as Guest Services Manager. With her upbeat attitude, Nancy strives to make you and your pet’s experience here as positive and rewarding as possible. For her, no challenge is too big! Nancy received her B.S. from St. Joseph’s University in Business Management, her Professional Human Resources Certification, and previously worked in customer service in the retail industry. In addition, she received her Pet First Aid Certification from the Red Cross and her Pet Therapy Certification from St. Hubert’s Animal Welfare Center. Nancy has taught children how to safely handle and care for animals, and in 2010, she received St. Hubert’s Volunteer of the Year Award. In addition to her two cats, Millie and Sabrina, Nancy shares her home with Angie, an enthusiastic Standard American Eskimo dog and retired laboratory Beagle, Gracie. Debora joined Morris Animal Inn as Marketing Manager in July 2011. With a bachelor’s degree in Communications from Susquehanna University and Masters’ degree in Communications from William Paterson University, Debora’s mission is to focus on what services best meet the needs of dog and cat clientele and build strong customer relationships. Throughout her career, she has had several years experience as a Marketing Coordinator, Public Relations Manager and Communications Specialist. Debora supports several animal shelters around the local area. Debora’s love for animals brought her to Morris Animal Inn. 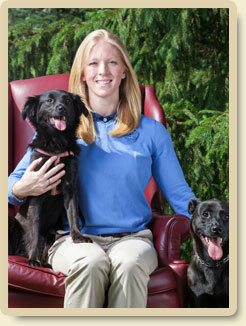 Kristen Lewis joined Morris Animal Inn in 2012 as Lodging Manager. She received her Bachelor’s Degree in Animal Science from Rutgers University and her Masters Degree in Business from Centenary College. Kristen’s responsibility is to oversee our Lodging department and to ensure that every pet’s stay with Morris Animal Inn is beyond expectation. She has previously worked in the animal care field and brings to us a passion for the health and well-being of all furry creatures. Kristen is the proud owner of three beautiful rescue dogs; Daisy, a Flat-Coated Retriever Mix, Gracie, a Lab Mix and a recent addition to the family, Duke, a Dalmatian Pointer Mix. All three dogs are super sweet, love to give their paw, give tons of kisses, and even go hiking and swimming. Kristen also owns two horses, Gus and Dakota. She stays involved with rescue groups Noah’s Ark and OSCAR (One Step Closer Animal Rescue) because they “gave us our babies”. Kristen’s activities outside of Morris Animal Inn include horseback riding, physical fitness, hiking, kayaking, snowboarding, skiing and art. Since rescuing her first dog in 2001, a German Shepherd, Abbie has been committed to the goal of safe and positive dog socialization and training. This goal sparked her interest in learning more about the emotional behavior of dogs from puppyhood through the many stages of their lives. Before re-joining Morris Animal Inn Abbie worked as Daycare Manager of Morris K9 Campus, where she was responsible for creating many programs which included a safe and fun off leash environment where training was incorporated into the daily routine of the many daycare dogs in her care. She worked one on one with a certified dog trainer to integrate training on-site that included a house training program and an intensive 30 day training program. Abbie has taken many different training classes with her own dogs, German Shepherd Andrew, a Shepherd Mix Livvy and Dachshund Mix Wakely. Their collective achievements include certifying two as Canine Good Citizens and one as a Certified Pet Therapy Dog. Abbie has a keen interest in all dog activities and looks forward to starting her agility competition career. 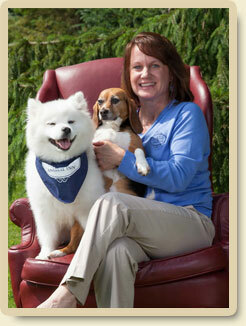 Jayanne (Jay) joined Morris Animal Inn in 2008 as a Client Services Representative. Throughout the years she has taken on several roles, showing her versatility and bringing her unique point of view to all of them. In the Guest Services department, she was a Reservation Specialist Team Leader, Supervisor and then an Assistant Manager. Presently, Jay is the Grooming Manager. Her role is to evaluate and ensure the quality of each dog groomed. They must be clean and happy as well! At a young age, Jay knew she wanted to work with animals, she may not have known to what capacity but as soon as she came to work at Morris Animal Inn, she knew this was perfect. It’s not only a career for her but it’s a hobby. During her down time outside of work, Jay reads and researches information about grooming to learn what’s new in the industry. Jay has two cats she loves — Spock and Arlo. She enjoys spending time with them, her family and friends. 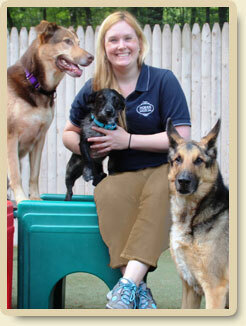 Lisa began working at Morris Animal Inn in 2006 as an Activities Staff member. Her love for dogs brought her to the Inn. Throughout the years she has been in the role of Activities Team Leader, Assistant Manager of Activities and presently as the Activities Manager. As the Activities Manager, she oversees the department ensuring pet guests receive their exercise and fun during their stay. 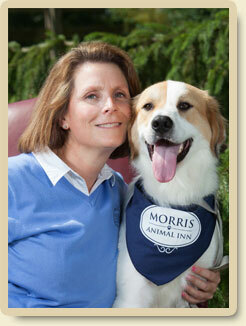 Lisa has been instrumental in bringing creative ideas for events and new activities to Morris Animal Inn. She has two sons who she adores as well as her lovable Chow Chow named Cannoli. Lisa is famous amongst her colleagues for her cooking and baking. She looks forward to treating staff to these goodies and staff looks forward to eating them!